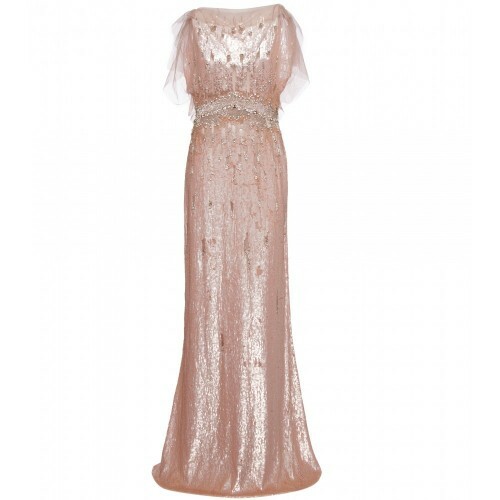 From the SS11 ready-to-wear, this rosy blush gown is covered in sequins that shimmer in motion. The dress has discreet spaghetti straps with delicate and fluttering mesh overlay. A hidden side zip creates a streamlined silhouette. Retail: $5,015.